Welcome to Day 6 of the 31 Days 31 Printables series. I sat down at my computer this morning to make up today’s printable and realized I had nothing planned. I was on the phone with Travis as I started looking through my lists and notes to see what would be good to share today when he asked if I had any Thanksgiving printables. 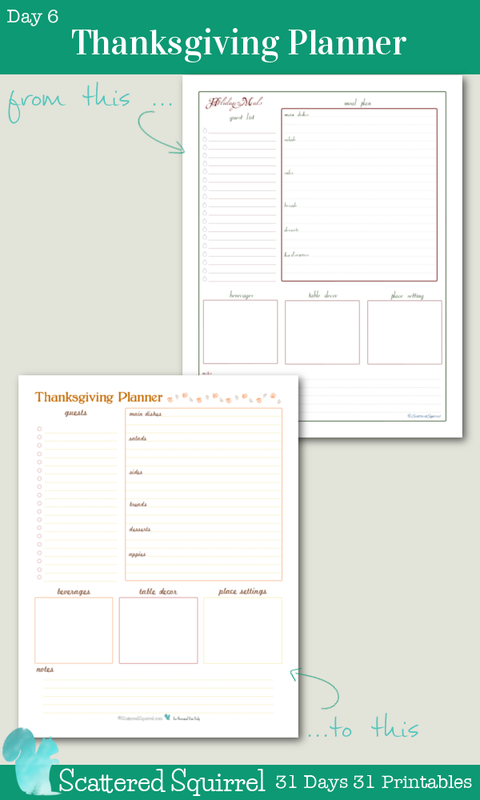 I do have a whole collection of Holiday Planner printables, but sadly none for Thanksgiving. Travis suggested that maybe a Thanksgiving planner printable was the way to go today, especially since Thanksgiving is this weekend for us. (In Canada Thanksgiving falls on the second Monday of October) So, friends, you can thank my incredibly inspiring husband for today’s printable. 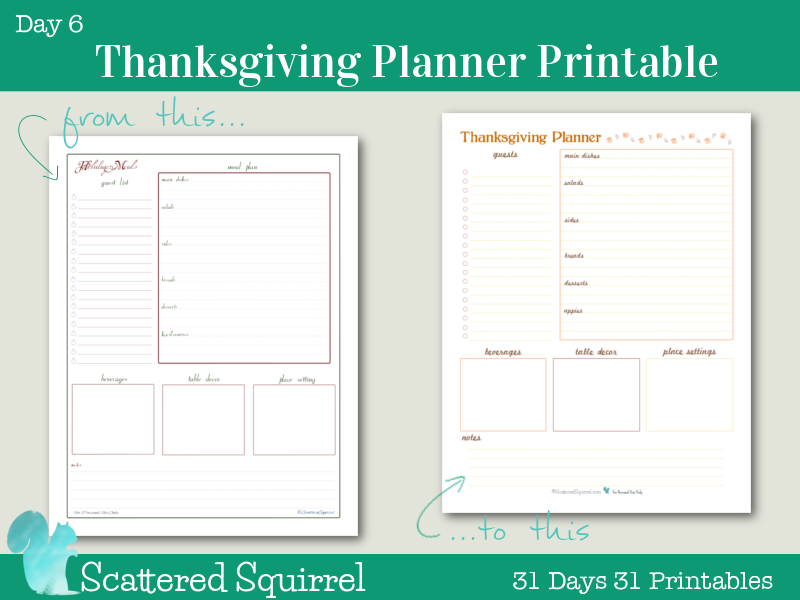 As I mentioned above, I have a Holiday Planner section under the printables tab. 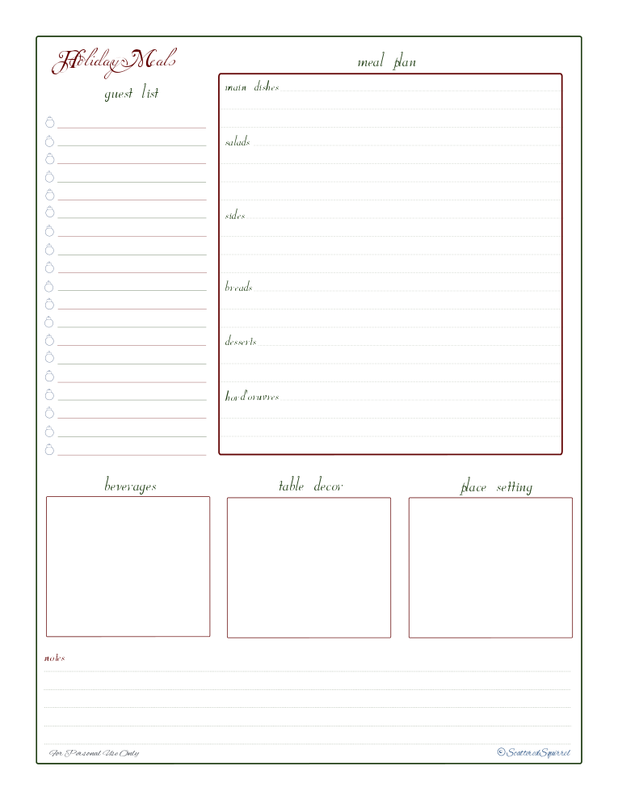 One of those printables is the Holiday Meals printable that you can see below. I’ve used this planner page every year from the time it was made to now. It just simply works for helping with me with my holiday meal planning. Judging from the number of times it has been downloaded, it works for many of you too. I decided to use this as my jumping off point and my inspiration for creating a Thanksgiving version. And so, by simply changing the colours and fonts, and tweaking the sizing and little details the Thanksgiving Planner was finally ready. 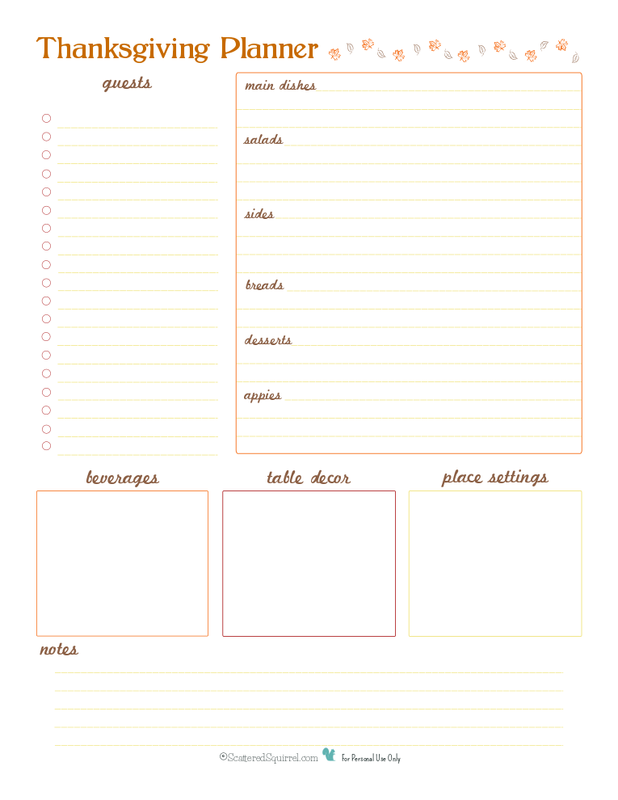 With this planner, you can keep track of everything you need for your holiday get together. There’s space for the guest list, menu ideas, drinks, decorations and even a spot for jotting down notes. The goal is to make life easier so you can enjoy the day and the meal without too much stress. I love holidays like Christmas and Thanksgiving where I get to plan a slightly more elaborate meal than we normally have. While we’re planning a quiet Thanksgiving this year, I still plan on using this printable for the menu and other fun stuff. I might even print out two copies and use one for ideas for next year. What do you think? I just came across your site and have to say you are amazing! 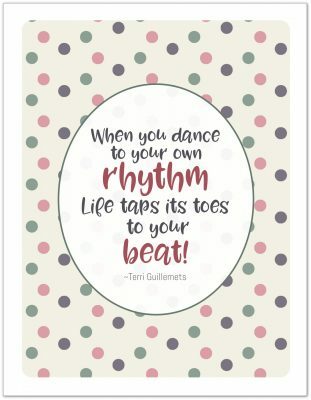 I love your printables, sweet and humble personality and class…I can’t thank you enough for sharing and pray that you are blessed for doing so!